Zurich was delighted to scoop an award for Most Effective Use of Data & Insights at the inaugural Irish Content Marketing Awards 2018. 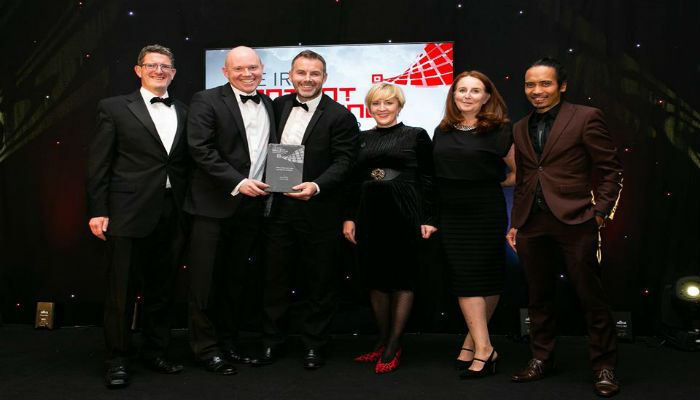 The winners of the inaugural Irish Content Marketing Awards were announced at the black tie gala awards ceremony recently where Zurich received an award for its ‘Time Flies’ video campaign. The aim of the Time Flies campaign was to drive awareness of the benefits of starting a Zurich savings policy by using nostalgia and memorable events from the past 5+ years to show that time goes by very quickly and savings can build up quickly over a short period of time. Working with TV and video agency, Indiepics, the Time Flies campaign’s key messaging was that times goes by very quickly and that saving with Zurich is a good option considering how savings can grow over a short period of time. The videos produced tapped into nostalgia and key moments in the last 10 years. The campaign videos also looked at milestone moments in a person’s life such as a child’s first shoes right through to their teenage years. Not only was the campaign a phenomenal success from a social engagement perspective, but the videos have delivered click through rates up to 1,000 times the industry average. So far, the videos have driven 839k views, 56k link clicks as well as significant on-site conversions and sales.